Evening Bag, Clutch Purse with Pleated Flap in Several Colors Stylish clutch purse with pleated flap. It comes in several satin colors as well as silver and gold lam?. It is lined in satin with a pocket on the side, includes a matching shoulder strap and has a snap closure. 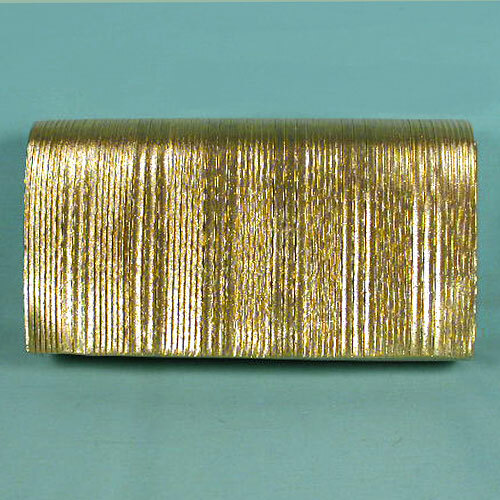 The narrow pleats on the flap give this clutch a distinctive style. If you want a smart evening bag without the bling, this is a great choice. Color: gold Hue: Code: #CDC065.